NEW YORK - February 8, 2019 -- Coty Inc. (NYSE: COTY) today announced financial results for the second quarter of fiscal year 2019, ended December 31, 2018. • 2Q19 reported net revenues of $2,511.2 million decreased 4.8%, with a like-for-like (LFL) revenue growth of 0.7%. The strong sequential improvement in both the reported and LFL performance reflected the combination of several temporary factors, including: (i) Burberry entering the LFL revenue base and facing a depressed prior year comparable, (ii) the positive impact from changes in revenue recognition policy, (iii) the shift of Luxury shipments from 1Q19 into 2Q19 as a result of the U.S. Hurricane Florence, and (iv) some moderation in the supply chain-related headwinds discussed in 1Q19. • We estimate these factors cumulatively benefited our LFL revenue growth rate by approximately 2%, implying a moderate underlying 2Q19 LFL decline. This performance reflects strong LFL growth in Luxury, underlying growth in Professional Beauty, and a high single digit decline in Consumer Beauty. • Year-to-date reported net revenues of $4,542.5 million decreased by 6.8%, with a LFL revenue decline of 3.2%. We estimate that the underlying LFL net revenue trend was a decline of approximately 2% in 1H19, excluding the temporary factors above. • 2Q19 reported gross margin of 61.9% increased by 80 bps from the prior-year period, while the adjusted gross margin of 62.1% increased by 50 bps, primarily driven by the divisional revenue mix shift toward Luxury and Professional Beauty, improvement in the Professional Beauty gross margin due to product mix, and the margin benefit from favorable FX. • Year-to-date reported gross margin of 61.1% was flat with the prior-year, while the adjusted gross margin of 61.3% decreased by 20 bps, fueled by the gross margin contraction in 1Q19 connected to supply chain disruptions. • 2Q19 reported operating loss of $804.6 million compared to 2Q18 reported operating income of $175.2 million, reflecting a $965.1 million non-cash impairment charge primarily connected to the Consumer Beauty division and select brand trademarks. • 2Q19 adjusted operating income of $322.3 million declined by 7% from the prior year with an adjusted operating margin of 12.8%. The year-over-year decline in adjusted operating income reflected the contraction in net revenues, A&CP increasing as a percentage of net revenues during the quarter, and foreign exchange headwinds of approximately 4%. This was partially offset by strong fixed cost reduction. • 2Q19 adjusted operating income was also impacted by the temporary factors cited above, including: (i) the supply chain headwinds; (ii) the timing of Luxury shipments; (iii) revenue recognition; and (iv) the net impact of M&A, as the incremental Burberry contribution was partially offset by the lost profit from the FY18 brand rationalization program. The cumulative negative impact from these factors in 2Q19 was approximately $2M, which implies a high single digit decline in underlying adjusted operating income in the quarter. • Year-to-date reported operating loss of $825.3 million compared to reported operating income of $204.7 million in the prior year. Year-to-date adjusted operating income of $463.1 million declined by 15% from the prior year with a margin of 10.2%. • In 1H19, we estimate that adjusted operating income was adversely impacted by temporary factors of approximately $48 million, including over $90 million from the supply chain disruptions. Excluding these temporary impacts, the 1H19 underlying adjusted operating income would have declined approximately 6% year over year, with an operating margin of approximately 11%. • 2Q19 reported net loss of $960.6 million compared to reported net income of $109.2 million in the prior-year, while the adjusted net income of $181.9 million declined 23%, driven by the lower adjusted operating income and the $41.8 million positive foreign tax settlement in the prior year period. • Year-to-date reported net loss of $972.7 million compared to reported net income of $89.5 million in the prior-year, while the adjusted net income of $262.4 million decreased 16%. • 2Q19 reported earnings per share of $(1.28) declined from $0.15 in the prior-year, and the adjusted EPS of $0.24 declined from $0.32 in the prior year. The year-over-year decline in reported EPS reflects the significant $965.1 million impairment charge discussed above, while the decline in the adjusted EPS is driven by the aforementioned tax benefit in 2Q18 which contributed $0.05 to EPS. • Year-to-date reported earnings per share of $(1.30) declined from $0.12 in the prior-year, and the adjusted EPS of $0.35 declined from $0.42 in the prior year. • In 2Q19, net cash provided by operating activities was $319.6 million, broadly in-line with 2Q18, as we drove strong conversion of operating income into operating cash flow, supported by working capital improvement. First half operating cash flow totaled $237.7 million, down $70.1 million from the same period of the prior year. • Our 2Q19 free cash flow of $193.9 million was largely in-line with 2Q18 and reflected the strong operating cash flow result, and a moderate year-over-year decline in capex. First half free cash flow of $(21.6) million decreased from $75.6 million in the prior year, driven by weakness in 1Q19. Net debt of $7,488.5 million on December 31, 2018 decreased by $172.8 million from the balance of $7,661.3 million on September 30, 2018 driven by positive free cash flow and a benefit from foreign exchange. This resulted in a last twelve months Net debt to adjusted EBITDA ratio of 5.8x, consistent with the reported ratio on September 30, 2018. of 5.3x. "Since I joined the company a few months ago, I have been thoroughly evaluating each part of our business, working to assess what has and has not worked, and where the opportunities lie. Within Coty, there are clear opportunities to improve how we run our company in order to enhance the quality of our business model, thereby giving us the time that we need to address our more strategic issues. I must stress that while we are confident that we can return Coty to a path of sustainable growth, we are also realistic that it will take time to achieve this outcome. Our Luxury and Professional Beauty divisions are growing reasonably well, but they cannot compensate completely for the difficult trajectory of our Consumer Beauty division. In Consumer Beauty, we need to earn our right to grow. From a financial standpoint, gross margin improvement will become our key area of focus. Gross margin is the lifeblood of the business and we recognize that we must close the gap we have here versus our beauty peers. That means managing revenue and costs, improving product mix and range, simplifying our portfolio and formulations, and systemically deploying lean-inspired methodologies in our manufacturing and logistics operations. While we will deploy these principles whenever possible in the remainder of FY19, our immediate objective is to finalize a Strategic Plan, which will define our agenda for the medium term. I look forward to sharing more details on this plan in the coming months. I have a great deal of confidence that the management team we have put into place is the right one to develop this plan, and that together with the broader Coty organization, we will be able to meet the objectives of driving gross margin improvement and sustained topline growth." As we focus on building a healthier business model, we anticipate a profit trend recovery in the second half of FY19. We expect that FY19 constant currency adjusted operating income will be moderately below FY18. We continue to expect positive free cash flow for FY19. In 2Q19, reported Luxury net revenues of $1,017.5 million increased by 7.0% versus the prior year. On a LFL basis, Luxury net revenues increased by 10.8%, primarily driven by the addition of Burberry to the LFL base and solid growth of the core portfolio, despite ongoing impact from the supply chain disruption. We estimate that the Luxury division delivered mid single digit growth in 2Q19 and 1H19 after adjusting for the supply chain disruptions and excluding the impact of Burberry. 2Q19 sell-out was strong across our top brands with particularly good performances by Gucci, Marc Jacobs and Burberry. Net revenue growth was driven by Calvin Klein, Gucci, Marc Jacobs and Chloe. Tiffany's sell-out performance remained strong during the holiday period, despite lapping the brand's launch in the prior year. Hugo Boss revenues in 2Q19 declined as the brand was impacted by the supply chain disruptions. The Luxury division delivered reported operating income of $113.6 million, an increase of 33% vs. the prior-year period. 2Q19 adjusted operating income was $176.9 million, reflecting very strong 41% growth from the prior year, driven by the reported net revenue growth and solid fixed cost reductions. The adjusted operating margin was 17.4%, an increase of over 400 bps versus 2Q18. 2Q19 Consumer Beauty net revenues of $967.8 million declined 15.0% on a reported basis and declined 7.3% LFL. We estimate that the net impact of the supply chain disruptions was offset by the positive impact in 2Q19 from a required revenue recognition policy change, implying a high single digit underlying LFL decline in both 2Q19 and 1H19. This performance was broadly in-line with sell-out trends, as our brands were pressured by continued weakness in the mass beauty market, particularly in the U.S. and Europe, although we saw some moderation in the pace of our market share losses. The Consumer Beauty division continues to be affected by the indirect impacts of the supply chain disruptions, including customer penalties and increased promotions, which reduced net revenues. By category, net revenue in color cosmetics declined mid single digits and retail hair declined high single digits. While CoverGirl and Clairol net revenues benefited from a favorable comparable due to the inventory depletion in the prior year ahead of the 3Q18 brand relaunches, sell-through continued to decline high single digits in 2Q19. Our U.S. brands experienced moderating market share losses in traditional retailers, share gains on Amazon, and improving innovation performance. Sally Hansen reported strong growth in the quarter, supported by innovation. The Wella Retail brand continued to gain share with strength in styling in developed markets and hair color in emerging markets. In Brazil, our local brands continue to drive strong revenue growth and market share gains. During 2Q19, Younique revenues and profit remained pressured due to a decline in product sales and presenter sponsorship as we continue to refine our product offerings and compensation plan structure to drive improvements in presenter sales activity, recruitment and retention. Our loyalty and subscription programs gained traction in the quarter, driving growth in customer revenues, although weakness in active presenters more than offset this growth. In 3Q19, Younique launched a customizable skincare line, YOU·OLOGY. Reported operating loss in 2Q19 of $906.9 million compared to reported operating income of $99.3 million in the prior year period, reflecting non-cash impairment charges of $832.5 million to the Consumer Beauty goodwill and $97.8 million to the trademarks of CoverGirl, Clairol, and two small regional brands. The Consumer Beauty division has experienced increased competitive and market pressure throughout the first half of fiscal 2019, which has resulted in lower than expected revenues and earnings. Additionally, the discount rate used in the impairment review associated with the division has also increased in the quarter. Based on these adverse factors, management determined that there were indications that the goodwill of the division as well as certain trademark intangible assets may be impaired and accordingly interim intangible asset and goodwill impairment tests were performed as of December 31, 2018. The 2Q19 adjusted operating income of $54.1 million declined from $131.9 million in the prior year period, resulting in an adjusted operating margin of 5.6%. Despite reductions in fixed costs, the adjusted operating margin was pressured by net revenue contraction and gross margin pressure linked to the supply chain disruptions. Professional Beauty 2Q19 net revenues of $525.9 million declined by 4.0%, with LFL down 0.8%. The Professional Beauty division continued to be impacted by the supply chain disruptions in its North America warehouse, with OPI being disproportionately affected. Adjusting for these supply chain disruptions, which impacted revenues by over 2%, we estimate that the division had low single digit underlying net revenue growth, with ghd delivering solid growth on the back of strong innovation. We continue to see no underlying change to the strong customer demand for our brands in North America or to the overall health of our salon professional business. Professional Beauty reported operating income of $73.8 million was flat to the prior year period, while adjusted operating income grew 1% to $91.1 million. The Professional Beauty division adjusted operating margin of 17.3% grew 80 bps, despite the supply chain impacts, driven by strong gross margin performance and good fixed cost reduction. • North America net revenues of $742.2 million, or approximately 29% of total net revenues, was flat as reported and increased 2% on an adjusted basis reflecting strong growth in Luxury partially offset by lower revenues in Professional Beauty, as a result of the supply chain disruptions, coupled with continued pressure in Consumer Beauty. In the United States, incremental revenues from Burberry and continued innovation from Gucci, together with higher year-over-year revenues from CoverGirl, were offset by lower net revenues from Younique within the United States due to a decline in product sales and presenter sponsorship as we continue to refine our product offerings and compensation plan structure to drive improvements in presenter sales activity, recruitment and retention. • Europe net revenues of $1,201.6 million, or approximately 48% of total net revenues, declined 7% on a reported basis and declined 1% on a LFL basis driven by weakness in Consumer Beauty as a result of performance challenges and supply chain disruptions, largely offset by growth in Luxury. On a brand level, declines in Bourjois and Rimmel in the U.K. and Eastern Europe were compounded by declines in mass fragrances in Western Europe and were offset by strong performances by Burberry and Calvin Klein across the region. • ALMEA net revenues of $567.4 million, or approximately 23% of total net revenues, showed solid growth despite impact from the supply chain disruptions. Revenues decreased 5% as reported, but grew 4% LFL fueled by strong growth in Luxury and Professional Beauty. From a brand perspective, Wella Professional revenues were higher in Brazil and the rest of Latin America, while in Consumer Beauty Max Factor declined in China and the Middle East and Wella Retail was lower in Latin America. • In 2Q19, net cash provided by operating activities was $319.6 million, broadly in-line with 2Q18, as we drove strong conversion of operating income into operating cash flow, supported by working capital improvement. The impact of integration and restructuring cash costs was approximately $81 million in 2Q19. The year-to-date operating cash flow totaled $237.7 million, down $70.1 million from the prior year. • Our 2Q19 free cash flow of $193.9 million was largely in-line with 2Q18 and reflected the strong operating cash flow result, and a moderate year-over-year decline in capex. The first half free cash flow of $(21.6) million decreased from $75.6 million in the prior year, driven by weakness in 1Q19. • In 2Q19, we distributed $94.6 million in quarterly dividends. • Cash and cash equivalents of $417.5 million decreased modestly from $423.3 million on September 30, 2018. Total debt of $7,906.0 million decreased by $178.6 million from September 30, 2018, with net debt of $7,488.5 million down $172.8 million from the balance of $7,661.3 million on September 30, 2018. This net debt decrease reflects positive free cash flow and a benefit from foreign exchange, as well as the payment of $94.6 million of dividends. • On November 11, 2018, Pierre Laubies was appointed as Coty CEO and Peter Harf assumed the position of Chairman of the Coty Board of Directors. • On January 11, 2019, Coty announced a series of executive leadership changes to support its ongoing transformation and future growth. Pierre-André Terisse was appointed Chief Financial Officer and a member of the Executive Committee, effective February 1, 2019. Pierre Laubies assumed leadership for the formulation and implementation of the strategic vision for the Consumer Beauty division, supported by Gianni Pieraccioni who joined Coty as Chief Operating Officer, Consumer Beauty, and as a member of the Executive Committee, effective January 14, 2019. Luc Volatier was appointed Chief Global Supply Officer and a member of the Executive Committee, effective January 14, 2019. • On January 14, 2019, Coty announced that Bart Becht resigned from Coty's Board of Directors and Anna-Lena Kamenetzky joined the Board of Directors. 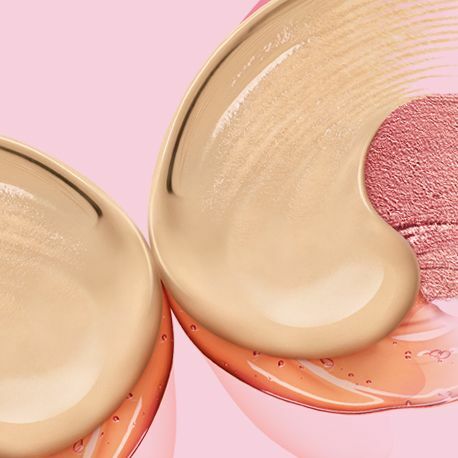 • On February 8, 2019, Coty announced a dividend of $0.125 per share payable on March 15, 2019 to holders of record on February 28, 2019. This dividend will be considered a return of capital. Coty Inc. will host a conference call at 8:00 a.m. (ET) today, February 8, 2019 to discuss its results. The dial-in number for the call is (866) 834-4311 in the U.S. or (720) 405-2213 internationally (conference passcode number: 1354018). The live audio webcast and presentation slides will be available at http://investors.coty.com. The conference call will be available for replay. • other factors described elsewhere in this document and from time to time in documents that the Company file with the SEC. When used herein, the term “includes” and “including” means, unless the context otherwise indicates, “including without limitation”. More information about potential risks and uncertainties that could affect the Company’s business and financial results is included under the heading “Risk Factors” and “Management’s Discussion and Analysis of Financial Condition and Results of Operations” in the Company’s Annual Report on Form 10-K for the fiscal year ended June 30, 2018 and other periodic reports the Company has filed and may file with the SEC from time to time. All forward-looking statements made in this release are qualified by these cautionary statements. These forward-looking statements are made only as of the date of this release, and the Company does not undertake any obligation, other than as may be required by applicable law, to update or revise any forward-looking or cautionary statements to reflect changes in assumptions, the occurrence of events, unanticipated or otherwise, or changes in future operating results over time or otherwise. Comparisons of results for current and any prior periods are not intended to express any future trends or indications of future performance unless expressed as such, and should only be viewed as historical data. The Company operates on a global basis, with the majority of net revenues generated outside of the U.S. Accordingly, fluctuations in foreign currency exchange rates can affect results of operations. Therefore, to supplement financial results presented in accordance with GAAP, certain financial information is presented excluding the impact of foreign currency exchange translations to provide a framework for assessing how the underlying businesses performed excluding the impact of foreign currency exchange translations (“constant currency”). Constant currency information compares results between periods as if exchange rates had remained constant period-over-period, with the current period’s results calculated at the prior-year period’s rates. The Company calculates constant currency information by translating current and prior-period results for entities reporting in currencies other than U.S. dollars into U.S. dollars using constant foreign currency exchange rates. The constant currency calculations do not adjust for the impact of revaluing specific transactions denominated in a currency that is different to the functional currency of that entity when exchange rates fluctuate. The constant currency information presented may not be comparable to similarly titled measures reported by other companies. The Company discloses the following constant currency financial measures: net revenues, organic like-for-like (LFL) net revenues, adjusted gross profit and adjusted operating income. The Company presents period-over-period comparisons of net revenues on a constant currency basis as well as on an organic (LFL) basis. The Company believes that organic (LFL) better enables management and investors to analyze and compare the Company's net revenues performance from period to period. For the period described in this release, the term “like-for-like” describes the Company's core operating performance, excluding the financial impact of (i) acquired brands or businesses in the current year period until we have twelve months of comparable financial results, (ii) divested brands or businesses or early terminated brands in the prior year period to maintain comparable financial results with the current fiscal year period and (iii) foreign currency exchange translations to the extent applicable. For a reconciliation of organic (LFL) period-over-period, see the table entitled “Reconciliation of Reported Net Revenues to Like-For-Like Net Revenues”. • Costs related to acquisition activities: The Company excludes acquisition-related costs and acquisition accounting impacts such as those related to transaction costs and costs associated with the revaluation of acquired inventory in connection with business combinations because these costs are unique to each transaction. The nature and amount of such costs vary significantly based on the size and timing of the acquisitions and the maturities of the businesses being acquired. Also, the size, complexity and/or volume of past acquisitions, which often drives the magnitude of such expenses, may not be indicative of the size, complexity and/or volume of any future acquisitions. • Restructuring and other business realignment costs: The Company excludes costs associated with restructuring and business structure realignment programs to allow for comparable financial results to historical operations and forward-looking guidance. In addition, the nature and amount of such charges vary significantly based on the size and timing of the programs. By excluding the above referenced expenses from the non-GAAP financial measures, management is able to evaluate the Company’s ability to utilize existing assets and estimate their long-term value. Furthermore, management believes that the adjustment of these items supplement the GAAP information with a measure that can be used to assess the sustainability of the Company’s operating performance. • Asset impairment charges: We have excluded the impact of asset impairments as such non-cash amounts are inconsistent in amount and frequency and are significantly impacted by the timing and/or size of acquisitions. Our management believes that the adjustment of these items supplement the GAAP information with a measure that can be used to assess the sustainability of our operating performance. • Amortization expense: The Company excludes the impact of amortization of finite-lived intangible assets, as such non-cash amounts are inconsistent in amount and frequency and are significantly impacted by the timing and/or size of acquisitions. Management believes that the adjustment of these items supplement the GAAP information with a measure that can be used to assess the sustainability of the Company’s operating performance. Although the Company excludes amortization of intangible assets from the non-GAAP expenses, management believes that it is important for investors to understand that such intangible assets contribute to revenue generation. Amortization of intangible assets that relate to past acquisitions will recur in future periods until such intangible assets have been fully amortized. Any future acquisitions may result in the amortization of additional intangible assets. • Interest and other (income) expense: The Company excludes foreign currency impacts associated with acquisition-related and debt financing related forward contracts, as well as debt financing transaction costs as the nature and amount of such charges are not consistent and are significantly impacted by the timing and size of such transactions. • Loss on early extinguishment of debt: We have excluded loss on extinguishment of debt as this represents a non-cash charge, and the amount and frequency of such charges is not consistent and is significantly impacted by the timing and size of debt financing transactions. • Noncontrolling interest: This adjustment represents the after-tax impact of the non-GAAP adjustments included in Net income attributable to noncontrolling interests based on the relevant non-controlling interest percentage. • Tax: This adjustment represents the impact of the tax effect of the pretax items excluded from Adjusted net income. The tax impact of the non-GAAP adjustments are based on the tax rates related to the jurisdiction in which the adjusted items are received or incurred. The estimated supply chain impact to adjusted operating income only includes the direct impact on net revenues and the associated impact on cost of sales, while the Company assumed no impact from any other operating expenses. These non-GAAP measures should not be considered in isolation, or as a substitute for, or superior to, financial measures calculated in accordance with GAAP. To the extent that the Company provides guidance, it does so only on a non-GAAP basis and does not provide reconciliations of such forward-looking non-GAAP measures to GAAP due to the inherent difficulty in forecasting and quantifying certain amounts that are necessary for such reconciliation, including adjustments that could be made for restructuring, integration and acquisition-related expenses, amortization expenses, adjustments to inventory, and other charges reflected in our reconciliation of historic numbers, the amount of which, based on historical experience, could be significant. Click here for Additional Tables.